If you only read one book this year, it should be Lacy Eye by Jessica Treadway. The book is my favorite of the year so far. I could not put it down and stayed up all night reading to see how it ended. When I was finished, I read everything I could find by Treadway. That’s when you know a book is good. Lacy Eye is about a couple, Joe and Hanna, and their daughters, Dawn and Iris. The couple is happy when Dawn seems to be settling in at college, and they hope she’s finally found a place where she fits in. They are less-than-impressed when Dawn brings her boyfriend, Rud, home for her sister’s wedding. There is just something off about the first man in their daughter’s life, although they try not to focus the possibility that it’s because they can’t figure out why someone so handsome would be with Dawn. 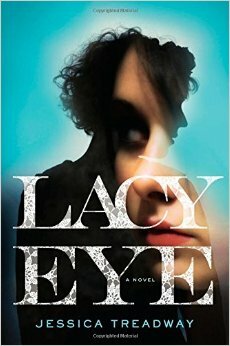 I read Lacy Eye in a single day. It was one of those books that I just couldn’t put down. The writing was wonderful, and the plot kept me questioning the final outcome. 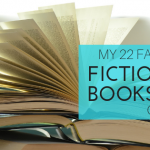 When I reached the end of the book, I was dealt a few new surprises, which I absolutely love. In a time when it seems like there are few new storylines, Treadway introduced one. I cannot recommend this book enough.